Four day delay in getting new sneakers after my old pair got wet and I refused to run in them again. I can’t set the world record on a course that doesn’t begin and end in the same location. Who wants to go to Staten Island? 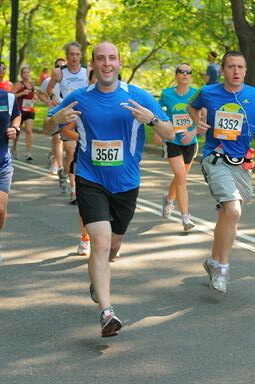 I was worried that I would hit the wall and die at mile 24 and not finish. Just like I did in this stupid post. This entry was posted in Uncategorized and tagged fitness, marathon, NYC Marathon, Running, Sports, writing by Rob Pollak. Bookmark the permalink.